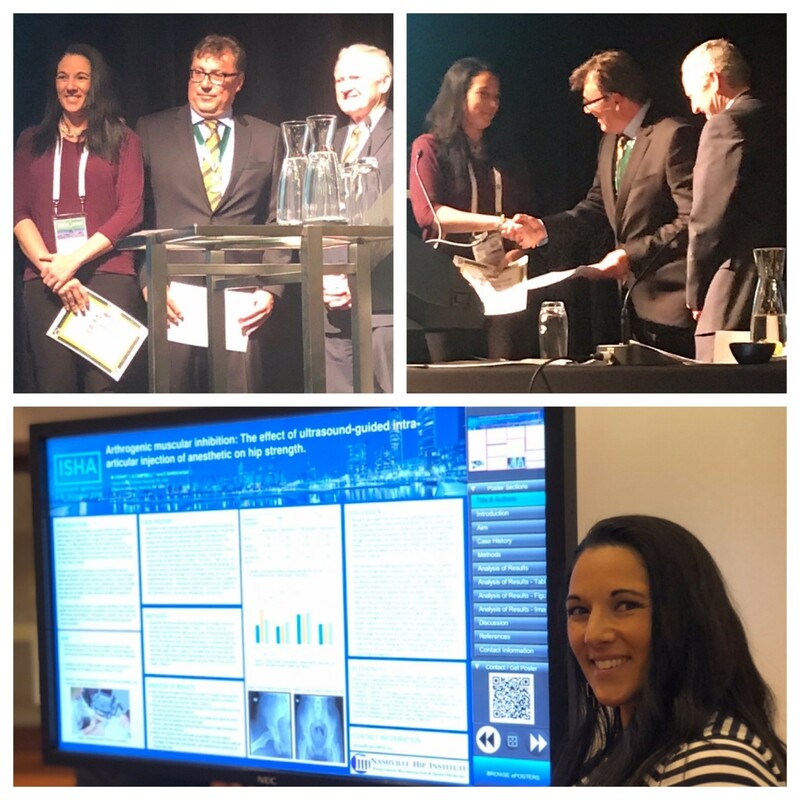 During the recent annual congress of the International Society for Hip Arthroscopy and Hip Preservation held in Melbourne Australia, Belmont University School of Physical Therapy Adjunct Instructor Dr. Ashley Campbell along with Professor Dr. Mike Voight showcased a research poster presentation. Attended by over 600 surgeons from around the world, the annual ISHA congress brings together the world’s best professionals who assess and treat hip injuries. During the closing ceremonies, ISHA President Dr. Chuck Cakic from South Africa and Dr. John O’Donnell from Australia recognized Campbell as having the best physical therapy research poster.